Sunday will be the shortest of the four days, but will include some pretty intense hills. You’ll follow Keg Creek back through Pacific Junction and then south in the Missouri River Valley into Bartlett, just across the Fremont County line. There you’ll head east up the hills into Tabor. Tabor is home to the historic antislavery district and historic Reverend Todd House. Next, you’ll head back down the hill to Thurman. From there, it’s back to Bluff Road, which runs along the base of the Front Range. The final stretch is up Highway 2 (another hill!) to the entrance of Waubonsie State Park. 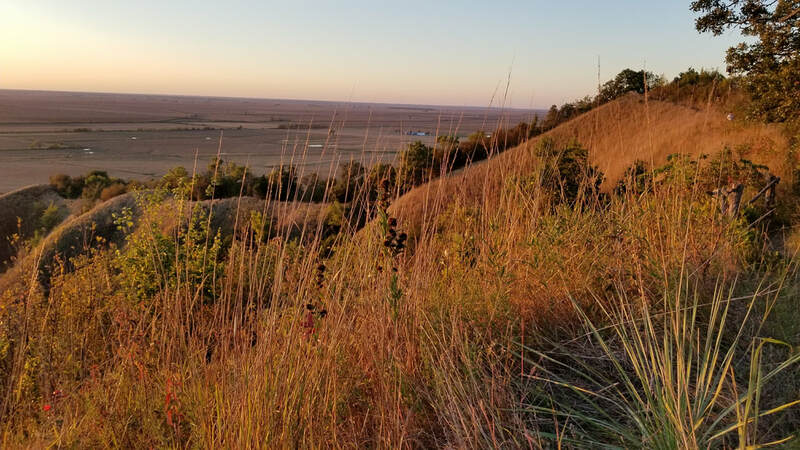 Stop by the scenic overlook before heading back down the hill, through the park, and ending at the Washawtee Lodge for a fun celebration. Congratulations,--you’ve completed the first-ever Loess Hills Parks & Peaks Ride! ​Riders will then be shuttled back to Sioux City or Council Bluffs.